We have the professional Traeger brand Smoker’s you’re looking for! BBQ Concepts is here for all your Traeger needs. Our showroom is conveniently located off of Fort Apache & Flamingo. 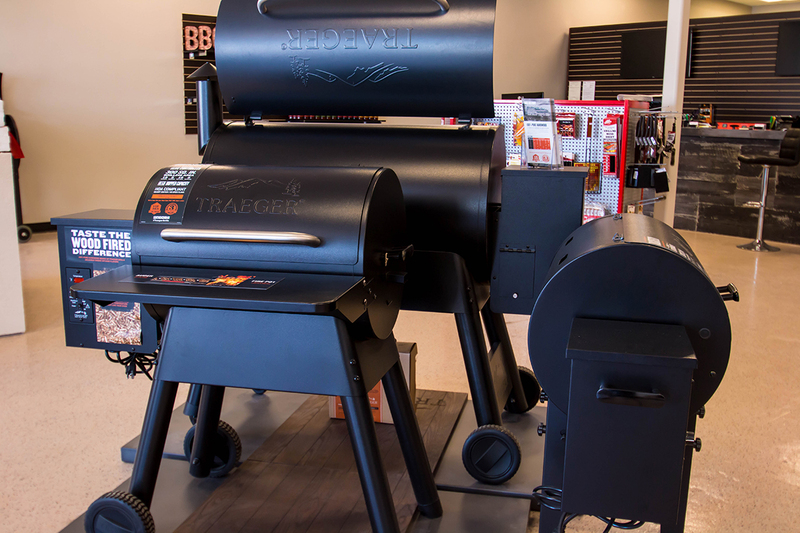 We carry one of the largest selections of Traeger Smokers and Accessories. Are you looking for a barbecue store in Las Vegas, Nevada that can meet and often even exceed your needs for professional Smokers & Accessories? Well, we have the store for you! BBQ Concepts of Las Vegas, Nevada is one of the newest authorized Traeger dealers. We carry everything from the actual Wood Fired Grills to the amazing Sauces, Rubs, Accessories, and more. We invite you to stop in and speak with a professional BBQ Concepts pro today. If your new to smoking and would like to learn more, we have on-site staff that can help guide you through an introduction to Wood Fired Grills. Visit our showroom today to browse our extensive collection of wood fire Grill brand products. Between our knowledgeable staff and amazing outdoor kitchen products, we’re confident that you’ll love visiting BBQ Concepts. What Kind of Smoking Products to We Carry? We literally have it all! Whether you’re new to Smoking or a seasoned veteran, we have the Traeger products for you. We carry Traeger Sauces, Rubs, Seasoning, Utensils, pellets, and so much more. We cater to professional competition smoke masters as well. So, stop on in today and browse our Traeger products. We also are one of Nevada’s newest custom outdoor kitchen manufacturers. If you’ve been considering a custom outdoor kitchen build, talk with one of our courteous BBQ Island Designers. From concept to completion we do it all! Our professional outdoor kitchen specialists are experienced, friendly, and knowledgeable. Give us a call today to schedule an on-site consultation.